In Matthew it states that He who is in us is greater than He who is in the world. Meaning that God's power is greater than the power of the enemy. 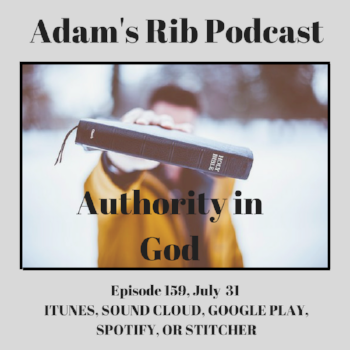 Join us for episode 159 as we discuss your authority in God. Want to see us face-to-face? No problem! Subscribe to our YouTube Channel: Adam's Rib Podcast for video blogs.